It still amazes me how I am constantly discovering meaning, seemingly from nothing. A few months ago Rev Jane Barraclough asked me to lead the Wednesday lunchtime service at Cross Street Chapel. I was delighted to be asked to do this and duly agreed to do so. Seemingly no meaning there and then last weekend it dawned on me that it was exactly seven years ago to the day that I had first entered Cross street chapel on a cold Wednesday lunchtime. Just a beautiful bit of synchronicity, or at least I saw it that way. It was a wonderful and wonder filled day that seemed so rich in meaning. I loved listening to the little conversations on the tram on my way to Manchester. I enjoyed my walk around the city, watching all the people going about their business. I felt so connected, so in harmony with what was going on. Every snippet of conversation I overheard seemed to be addressed directly to me. After the service I met a friend for coffee and shared what I’d been experiencing. I told her how I felt so excited and alive and that I seemed to be seeing meaning in everything. She looked at me and said “really, I see little meaning in anything; I’m pretty much sceptical about everything.” It made me pause and it also reminded me of the man I was not long before I began my Unitarian adventure. I could find no meaning in anything; I was pretty much sceptical about everything. The conversation has been on my mind ever since. I saw no meaning because I was asleep to meaning it would seem. I was suffering from a kind of colour blindness and tone deafness. Something inside was locked in and therefore I could not experience all that I can today and as a result I denied the possibility that there could be a deeper richer meaning. My rational reflection on my experiences back then revealed nothingness and yet my rational reflection, on my current experiences, reveal a life that is rich in meaning. I hear music where I could not before; I see a myriad of colour that in the past was only grey; I experience that under lying meaning that was just an empty void in the past. But what is meaning? 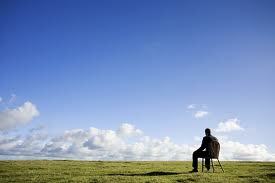 And can it be discovered in what many see as the emptiness of life? When I think of meaning and our search for it, Viktor Frankl immediately springs to mind. 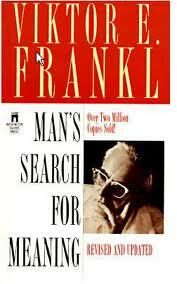 In “Man’s Search For Meaning” Frankl gives an account of his struggle to find meaning when held as a prisoner in the Nazi death camps of the second world war. He lost most of his family and friends in the camps and yet he never lost hope in humanity. Frankl was the founder of what has often been referred to as the “Third Viennese School of Psychotherapy” Freud founded the first which was based on the central role of the libido or pleasure principle in human psychology. Alfred Adler founded the second which emphasised the importance of the will to power and the significance of the superiority/inferiority complex in human behaviour. In contrast to these two schools Frankl’s psychology is based on the will to meaning which he saw as the primary motivating force in human life. He named it “Logotherapy” taken from the Greek term logos, which means “word”, “reason”, or “meaning”. Think of the opening words from John’s Gospel, “In the beginning was the word, and the word was with God, and the word was God.” The word here of course is “Logos”. There is an implication here that meaning has a transcendent origin. Frankl saw a spiritual dimension beyond the biological and psychological. He saw the suppression of this as the root cause of our human malady. Therefore the task of “Logotherapy” was “to remind patients of their unconscious religiousness” and to uncover the spiritual dimensions of their lives and enable them to recover the capacity to choose those values which give our lives worth and meaning. Frankl claimed that meaning is discovered through creative and worthwhile activites, by creating something beautiful or doing good – I believe that one of the greatest sadness’s of our age is the fact that the phrase “do-gooder” has become a term of mockery, that it is somehow seen as wrong and suspicious to do good - Meaning can be found through experiencing and sharing in the beauty of art or nature or through loving or ethical encounters with others. I witnessed a wonderful example of this on Sunday night. I went to see the performance poet “Rodney Chris Paradox” he really is worth checking out. 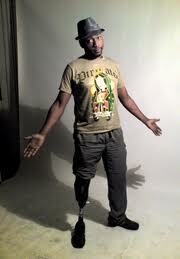 During the night he delivered a song poem entitled “Mr Pain”, which is essentially about him dealing with the suffering he experienced while losing a limb. Before he began he explained that he’d been on a journey throughout the world in search of meaning, his life had become empty. The journey ended in Mexico where he had an accident which led to him having half a leg amputated. From this grew the story “Mr Pain”. The poem describes how he had developed immunity to pain killers. He is assigned a “pain team” who try every form of western medicine to fight off the excruciating agony, every attempt failed. He then called upon all he had learnt from all the eastern traditions, which again failed. Finally he screams out to God and enters the emptiness. Here in this place of nothingness he surrenders to the pain and accepts his lot and from here the pain no longer seems to matter. By surrendering to it, it lost its power. Everyone suffers pain in their lives and often there seems no justifiable reason for it. It just seems so unfair. I believe the mistake that we make is that we look for reasons in the past instead of making reasons out of what has happened. You see by remaining locked in the past we isolate ourselves, we say look this is my suffering and pain and we seek out someone to blame. What we ought to doing is understanding that we all share pain in life, it’s a part of existence and seeing what we can give back to life from our shared experience. I have discovered by doing so meaning begins to burst out of the seeming nothingness. None of us gets to choose our pain and suffering and none of us can avoid it. That said we can choose how we respond to it and pass those lessons on to one another. No one can take that away from us. It is perhaps our one and only true freedom. How we respond to life’s circumstances. I discovered that the real meaning in life emerges by trying to help others find meaning in their lives. Do you know what ever since this discovery life has become so rich in meaning. These days I see meaning in everything. Remember “there’s no turning back because we are in this together all the way." 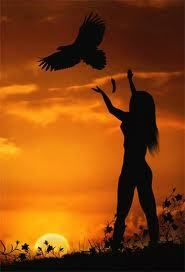 I like to think of mysticism as the art of meeting reality, or the art of richer and deeper awarenesses. ... It is an experience that comes unbidden ... [It is] a very special experience ... of that Oneness, a rare and wonderful realization of what always is but of which we are seldom aware, flooding in to overwhelm the illusion of aloneness, separateness. ... There are moments when life seems vivid and resplendent, when a more than mortal splendor breaks in, when there is a touch of grandeur and of glory in just being alive. ... In our experience ... of those moments when we're rapturously one with the wonder of all that is, we have some indication of what has been meant by the mystic experience. I was travelling to Urmston last Thursday evening for the “12 Steps to a Compassionate life Group”. It was not a pleasant journey. I didn’t make it so. Ok the traffic was appalling, which was exacerbated by a broken down truck. I was convinced that I was going to be late and found myself becoming increasingly frustrated at being held up. After all I was on my way to an important engagement, don’t you know. My thoughts, my internal dialogue, were appalling. I’ve been reflecting quite a bit on my thinking and behaviour since. It seems I’ve a lot to learn and a long way to go. I am not alone in this and it is one of the reasons that I am embarking on this journey with Karen’s work on Compassion. I need it; I think most of us do. When I listen to myself sometime these days all I can do is laugh...and anyone who knows me will tell you it's usually a Muttley laugh. I’ve been reflecting on this quite a bit since. Don’t get me wrong I have not been beating myself up, but it has made me take a good long look at myself. I need to be more mindful of my thoughts and feelings, both about myself and those I share life with. I remember some time ago Joyce (a member of the Urmston congregation) saying how she believes that cars feed into the more base aspects of our natures. They enhance our sense of separation and lead us to think more selfishly. Well if you’d witnessed me last Thursday evening, you would not have argued with her assessment. Karen Armstrong, in “12 Steps to a Compassionate Life”, highlights that it is the four “F’s” that are the cause of so much of our pain. That these four basic drives, that are thread into our DNA, are part of our humanity and drive so much of what we feel, think and do. The four “F’s” are feeding, fighting, fleeing and...reproduction (for want of a better word). She describes them as the old brain, as they are part of our inheritance from the reptilians that climbed out of the primordial swamp that we evolved from all those millions of years ago. Of course this is not all that we are, these drives are only one aspect of our common humanity, we also have compassionate, loving aspects too. 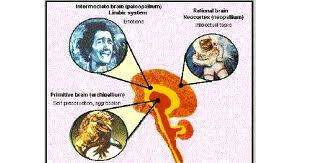 She describes this as the new brain, which developed much later. If we feed the four F's they come to dominance but if we feed our compassion that comes to the fore instead. This is why spiritual practise is a vital part of the development of our compassionate natures. 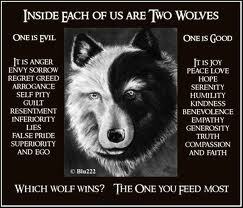 If we do not feed the compassionate wolf that is within each of us the other wolf will win out. We human beings are capable of such destructive action, as our history has proved. It is so easy to be ruled by the four “F’s” of feeding, fighting, fleeing and...reproduction. You see it is vital to become familiar with these aspects of ourselves and see how quickly they come to the fore when we feel that our security is under threat; how quickly they can make us become irrationally hostile, angry or greedy; to try and grab what we can, before somebody else does. We should not hate these parts of ourselves, they are there for a reason, we need these instincts, nor should we despise them when we witness them in others. Armstrong suggests that through spiritual practise we can learn to stop identifying with them and begin to develop the compassionate aspects of our natures. By the way mindfulness is not some practise that is done on a mountain top away from the world or in isolation tucked away in near dark candle lit room. No it is practised in the muck of life in our everyday interactions with ordinary everyday people. It ought to be practised when stuck in those traffic jams of life or when chaos is descending or when we are just going about our ordinary every day business. Mindfulness is not about escaping reality, but about living within life itself. It is about paying attention to our thoughts and feelings as we meander through life. Through practise we can begin to become familiar with these drives and instincts that are within each and every one of us, we can begin to observe our anger and frustration and all our fear driven compulsions. At the same time if we continue to practise compassion for ourselves and others and carry on giving of ourselves to others those instincts that once ruled us and continue to rear up from nowhere will just simply begin to lose power. The selfish wolf will start to die off and the compassionate wolf will begin to take over. It is of course vital to realise that the selfish wolf never dies completely, that it can easily resurface again if we do not continue to practise mindfulness, loving kindness and of course self giving love. 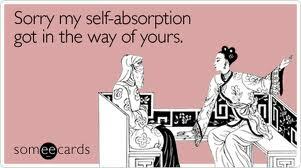 Mindfulness ought never to be confused with self absorption; it is actually quite the opposite. It is not an end in itself. If spiritual practise is purely about us feeling good about ourselves then it has defeated its purpose and become narcissistic. Its real purpose is to help us live more compassionately with our fellows and to begin to build the commonwealth of love here on earth. Embarking on new things is never easy, especially spiritual practices that do not immediately show results. In fact at first they may appear to be not only pointless but can actually bring more pain and difficulty to the surface. We can quickly become aware of the things about ourselves that we would perhaps rather not face. A few years ago I was struggling to implement some spiritual disciplines that were to become an integral part of my life. The man who was offering direction at the time could see this and asked me if I had seen the film “The Karate Kid?” Of course like most men of my generation I had, it was one of my favourite films as a kid. 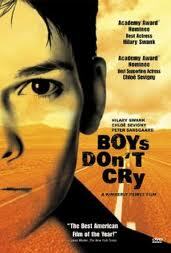 In the film a young lad named Daniel is beaten up by a gang of bullies. 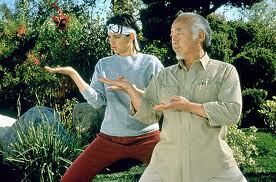 An old Chinese man named Mr Miyagi saves him from them and offers to help him to learn Karate, so he can defend himself. This he does and after many trials and tribulations Daniel not only learns Karate but becomes a champion. The path to becoming a champion was by no means an easy one and Daniel, or Daniel-San nearly gives up many times, but he stuck with it. By the way my sisters fond nick name for me over the years has been “Daniel-San”...there are worse things to be called. 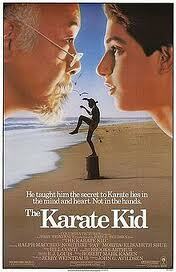 “The Karate Kid” is the classic hero’s tale; it is full of trials and tribulations. 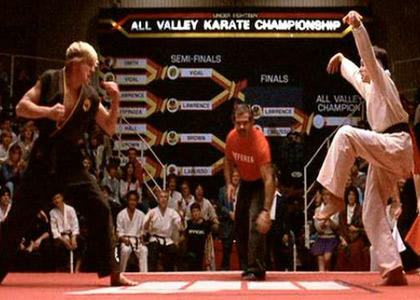 When Daniel first goes to Mr Miyagi he expects him to teach him how to fight immediately, but this does not happen. Instead he gets him to clean and wax his car, by practising specific motions “Wax on, wax off...wax on, wax off” He then gets him to paint a fence and polish a floor, all by hand, all applying simple hand motions. He also reminds him to breathe; he continues to remind him to breathe. After several days of this Daniel is worn out and decidedly unhappy. He thinks Mr Miyagi has taken him for a mug. After an argument he storms off, but Mr Miyagi calls him back and begins to perform some Karate moves which Daniel finds he can easily block. Finally Daniel-San sees the purpose behind what he has been doing. He can see that all those seemingly meaningless hours polishing and painting etc have equipped him to block the punches and kicks when they come. He can see some tangible results for all his hard work. Daniel-San continues with his training and at the end of the film he becomes the hero as he beats the bullies in the competition and of course he also gets the girl. Whenever I get stuck in myself and think I’m not doing so well in my attempts to live more compassionately I try to remember Daniel-San and those lessons I learnt many years ago. I remember to wax on, wax off and I also remember to breathe. Like everyone I have my days when I get lost in my pain and worries and I don’t always feel love towards my fellows or myself. I can cut myself off in my metal box, but I can also begin painting the fence and or polishing the car. I know if I continue to practise compassion my life and the lives of those around me are bound to improve. I must also remember that I am not journeying alone. We all have friends and supporters to help us on our individual ways and we have that power that runs through all of life that can help and sustain us, when the going gets really tough. Last Sunday afternoon I was lounging on my settee, just feeling good about life. I looked up out of my window and saw the most beautiful purplely pink sky. For whatever reason I decided to post a comment about this on Facebook, I received some interesting responses. Other people in Manchester looked out of their windows and enjoyed the scene; a friend in Edinburgh said that the sky was the same there, as it was in Blackpool and other places too. It seemed right that the sky over Manchester was pinky purple that night. After all it had been derby day and red and blue mixed together does make purple. So a pinky/purple sky over Manchester seemed appropriate as the light turned into the dark and the people of the city settled back down to normality. A little later another friend reported that as she had been travelling back from Birmingham that day, she had seen the perfect rainbow. I’ve been thinking an awful lot about rainbows these past few weeks and that pot of gold that lies at the other side of them. In fact ever since the flight to Transylvania, last Autumn, Dorothy, her red slippers, the Wizard of Oz and the saying “there’s no place like home” keep on emerging into my consciousness. On a recent flight to Transylvania I had noticed a young family who were obviously returning home. The daughter and the mother spent quite a lot of the flight teasing the dad, this both amused and delighted me as we passed over Europe. I had noticed that the little girl was wearing ruby slippers, like those worn by Dorothy in the Wizard of Oz. On both the flight into Transylvania and the flight back I sat with the same young woman. She had obviously been visiting family for a few days and was now returning to Paris. Interestingly she was also wearing red footwear, but of a more adult version. She was wearing red knee length boots. I was wearing red shoes too, trainers in my case. Now I don’t know what all this means, if anything, but I cannot seem to get these images out of my head. I can’t seem to get Dorothy and the Wizard of Oz out of my head either. Legend promises a pot of gold at the end of every rainbow. We all live in hope of this. Hope is vital, it helps us to keep walking down the yellow brick roads of life, especially when the going gets tough. This though can become problematic, especially if we focus too much on what is at the end of the road. If we gaze too hard at the pot of gold we may miss the treasures that are already here. The kingdom of God need not be some place way off into the future, maybe it’s already here. Maybe we already possess all we need within ourselves and each other. Dorothy longs for a better, more exciting colourful life. 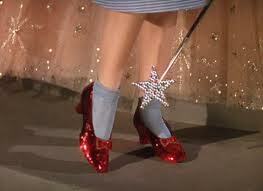 In the film the scenes in Kansas are grey, but when she reaches Oz everything is in glorious Technicolor. All that she cares about in Kansas is also under threat, her dog Toto is about to be taken from her - Toto in Latin means everything - In Kansas not only has life no meaning, but everything that matters is under threat. I was chatting with a friend the other day who was suffering the same problems. He was saying that his life had lost meaning and nothing seemed to give him any joy. That it all seemed grey and colourless and even tasteless. As a result of this all that seemed to matter the most to him was under threat. Now of course this wasn’t wholly true he was just voicing some fear. A fear everyone experiences at times. I spoke to him again a little later and he was feeling much better, the colour was returning to his life again. Sometimes all we have to do is voice our fears and they begin to diminish. Often in life we only really appreciate what we’ve got when we come close to losing it. 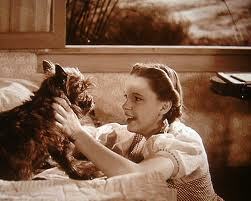 It is only after Dorothy returns from her Technicolor adventure that she begins to appreciate all that she has. Yes it is just as grey as it was before, but now everything appears different. What she had been searching for had been there all along. Yes there are pots of gold at the end of every rainbow, because there are pots of gold already inside our hearts. Dorothy’s travelling companions also learnt the same lessons. 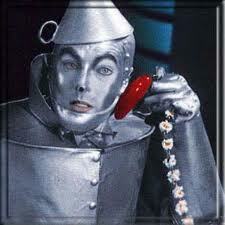 The Tin Woodman wished he had a heart and was prepared to go to any lengths to get one. He would risk life itself just to find a heart. Yet throughout the tale he displays tenderness, sensitivity and compassion. He weeps when the lion threatens to kill a deer and pleads with him “Don’t! Please don’t. I should certainly weep if you killed a poor dear, and then my jaws would rust again.” When he kills a beetle he weeps so much that his jaws do indeed rust shut. Dorothy is beside herself with anguish but the scarecrow comes to the rescue, takes oil from her basket and lubricates the woodman’s jaw and before long everything is as good as new. It seems the Woodman definitely has a heart, he just isn’t aware of. Perhaps the real problem is that he is afraid to feel too much? 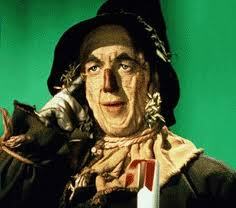 The Scarecrow is much the same. He is also searching for what he believes he lacks. In his case a brain. Yet when push comes to shove he is the one who saves the day. He is the one who possesses the foresight to find the way out. He is the one who can think under pressure. When they come across an impassable ravine it is he who suggests that the lion jump across, with them on his back, one by one. 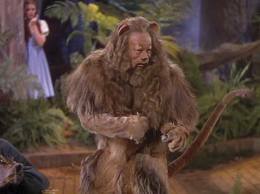 Here we see the supposedly cowardly lion stepping up to the mark. He leaps at this opportunity to help his companions. Yet he cannot see this himself, he still considers himself a coward as he is so aware of his fear. But is courage about the absence of fear? I do not think so. In my eyes courage is about overcoming fear and not the absence of fear. Courage is about finding faith in the presence of fear. Finally they arrive at the Emerald City and ask the Wizard to give to them what they believe they lack. 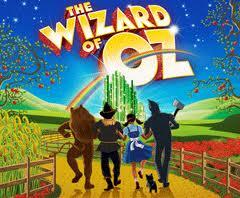 This he promises to do if they would kill the wicked witch, a task which he believes is beyond them. But of course they succeed and return to the Emerald City expecting their reward. They return disappointed though. 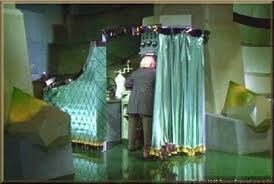 During a frantic scene Toto pulls back the curtain revealing the truth about the Wizard. It had all been a case of smoke and mirrors he is an ordinary man, with no magic powers. Dorothy tells him that he is a very bad man. To which he replies "Oh, no, my dear; I'm really a very good man, but I'm a very bad Wizard, I must admit." A disappointing end it would seem, there was nothing there at the end of the rainbow. But is this true? Well let’s look a little more closely. Surely this is the lesson from this beautiful tale. Wherever we journey, however we get there and whatever it leads to in the end the real purpose is to uncover that pot of gold that we already have within each and every one of us. 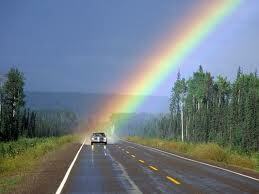 Hopefully by uncovering our own pots of gold we will help others to do likewise. I have spent much of the last few weeks watching the world from my car window. Several moments have really stood out for me and I’ve been carrying them with me in the memory bank of my soul. The first was the journey to Great Hucklow for the Urmston Christmas dinner. It was a beautiful sight to behold, the pure white fields and the lonely winter trees, stretching out from cold pale ground. There is something very beautiful about the trees in winter. These lifeless stick like sculptures stretching out from the ground are stripped right down to the bone. They look vulnerable and exposed, but they are not. By next spring life will have returned and I know this scene will be very different. If I travel that way again I will see the new lambs and the rolling fields, separated by dry stone walls and the trees will once again be bursting into life. I have also been carrying the most wondrous image of the deepest richest coloured rainbow I have ever seen. I saw it on the morning of the Advent Service on my way to Urmston. I always like to travel the back way there and it was a beautiful morning that day. I saw the rainbow as I got near the football training grounds - no it wasn’t coming from United’s or City’s or Sale Shark’s for that matter. It was stretching from the Lymm area and it only seemed half formed when I first caught sight of it - As I turned towards Flixton I saw the other side of the rainbow. It seems that the pot of gold is actually in Flixton and not those training grounds full of those rich and famous men. I’ve spent quite a bit of time on the M62 these past couple of weeks, travelling to and from Yorkshire, visiting family and friends. I love that time in the car, looking ahead, focused but relaxed about what I am doing and listening to music I love. So many times as I pass the white rose symbol at the side of the road I am listening to “Green and Grey” a song by my great love New Model Army. It is a song about where I come from in the world and it’s also a song about never forgetting where you come from; it is a song about remembering your roots, where ever you are in the world on your journey of life. This always brings “The Wizard of Oz” and “Somewhere Over the Rainbow” and that simple message of “there’s no place like home”, to my mind. Home for me these days in anywhere I no longer feel alone. I have been reflecting and talking a lot about the ache of loneliness this winter, ever since I heard the news of the suicide of Gary Speed. Gary was one of my footballing heroes, part of that great Leeds United midfield that pipped Alex Fergusons Manchester United to the title. Fame and fortune does not make us immune from life’s troubles. That beautiful rainbow stretched to Flixton, it did not land on the training grounds of Carrington. I witnessed a beautiful manmade site from my car window. It happened on Boxing Day as I travelled back to Altrincham. I was approaching Stott Hall farm (the farm in the middle of the two carriageways of the M62), coming towards me was this stream of yellow lights and moving away from me was this stream of red lights and smack bang in the middle of all of this was this farm, this island. Two streams of traffic going in opposite directions, to who knows where and who knows why. For some reason this brought Ecclesiastes 3 to my mind, especially the lines “a time to weep, and a time to laugh; a time to mourn and time to dance.” I suppose this view from my window brought these words to my mind because this is exactly how I have experienced the last few weeks. I have known moments of joy and great laughter but also mourning, sadness and some weeping. There have been times to cry. Ecclesiastes 3 has stood the test of time. There is good reason for this; it speaks an eternal and universal truth that everyone can relate to. 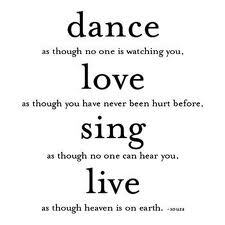 These words from this ancient source link we who live today with the generations that have walked the earth before us. People who have travelled one way or another, ok they may not have travelled in streams of red and yellow lights, but they have journeyed through life. They have travelled through their own dark valleys and emerged at the other side. These words remind me that the strength and patience that can elude all of us at our worst moments has felt elusive to all people in all generations at some point or another and yet they came through the tough times. 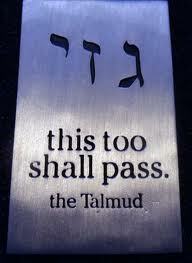 I see parallels here with the phrase “This too shall pass”. Nothing is permanent and nothing lasts forever. Some folk are travelling in one direction and others perhaps in another and we all usually travel back the same way at some time. No will ever escape the pain of life, but that’s ok because if we remain open we will also know life’s joy. Yes there is a time to mourn, but there is also a time to dance; there is a time to weep, but there is also a time to laugh. I was invited to party on Christmas Eve. There were many people there, most of who I have come to know during my time in Altrincham. It was a really good time, lots of jollity and laughter was had by all. In the middle of the party I got into conversation with someone I quite like, someone it would seem I have grown to love to talk to in short time I’ve known her. She knows a little bit about my life and was asking some questions, that I found difficult to engage with. The subject of Ethan and Claire came up and for whatever reason I found it difficult to talk about them, there and then. I suspect that this is because I haven’t for a while or maybe it was because I was in a public place and I was afraid to express my pain. This is probably the more honest reason. I am someone who still finds it hard to show their pain, to express my vulnerability. I am making progress though. It is a familiar trait that so many of we men seem to suffer from, some women do too, but I suspect that it is we males who suffer from it more. I suspect that half the reason is that we fear that if we let the pain out we may never be able to make it stop. This is of course crazy and a denial of our humanity. There is a time to cry. During times of loss an acknowledgement of weakness and softness suggest a tender heart. If there exists, in this world, a single person who cannot find something worth crying about I do not think that I would like to meet them. Such people frighten me. I spent a few hours with Claire last Monday evening and we talked and shared and remembered her remarkable little boy and all that he brought to our lives and so many other people in the short time that he lived. I shed my tears and she let me. Afterwards I could see that this had been the trouble recently I had not been able to talk about my pain and grief for my loss and it would appear that in actual fact she is the only person with whom I can share these things. I had forgotten this and it would seem I had been seeking elsewhere. Grief truly is the price we pay for love, to not grieve is to not truly live and to deny this grief is to deny this love and I am no longer into the denial of life, not these days...there is a time to cry. 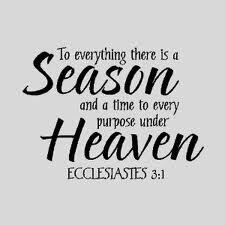 The author of Ecclesiastes is so correct in saying “For everything there is a season, and a time for every matter under heaven.” I have shed a few tears these last few days as I have remembered the people who have loved me and who I have loved, but who are no longer physically in my life. They are of course still with me though, I know this because I have experience of the truth that love never dies. As a result I noticed that some of those barriers that block me from life, from love, from God have been removed; I feel that I have been opened up once again. 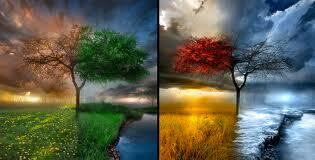 There are many seasons in our lives, just as there are many different emotions. Yes sometimes we can experience all those emotions in one single day, just as we can experience four seasons in one day. 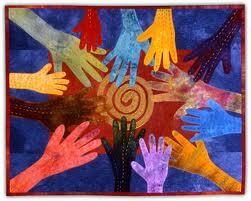 There is a time and perhaps a place for all them, for to diminish any of them is deny what it is to be fully human. Yes there is a time to weep, just as there is a time to laugh and there is a time to mourn, just as much as there is a time to dance. Living a full, productive, and involved life is a wild ride at times. There are many hills and valleys, there is green and grey, but there are rainbows and pots of gold too. If we are ready for whatever comes our way we will find rich blessings amongst life’s trials and tribulations. Let’s keep on looking out of our windows, let’s keep our heads held high and our minds, hearts and souls open. You may have noticed that there is a problem with our website - the domain is being squatted. Andy has contacted the internet service provider to get this resolved, and we hope to get the site back up and running as soon as possible. In the meantime, if you have an event you want publicised, post it in the comments here, and we will blog about it. words attributed to Kalidasa, a 3rd century Indian author. New Years Day is a time for new beginnings, a time for hope of what might be and a time to reflect on what has been before us. And yet it is just a day, much like any other day really. The sun has risen, as it has always risen and in a few hours time it will set, as it has always set. As we look out into the unknown future, it has become our custom, on this day, to resolve to do things differently than we have in the past. 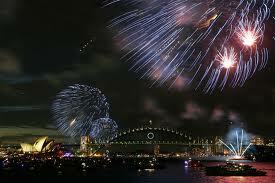 We make New Year’s resolutions and begin to practise them, on this day. 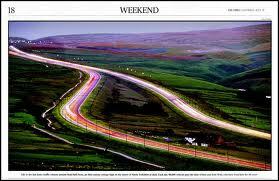 The problem is of course that we rarely keep them up; we quickly slip back into those old habits. I wonder if this will ever work. I suspect the reason it doesn’t is that we focus too much of our attention on the negative, on what is wrong. Perhaps what we ought to be doing is focusing on what is healthy and good and actually work and practise these habits. Maybe by focusing on what is wrong all that we end up doing is actually strengthening these weaknesses and give them more power. Perhaps the problem is that we spend too much time living in our problems, as opposed to living in the solutions to our problems. By doing so are we actually strengthening the destructive aspects of ourselves as opposed to our compassionate sides? As I keep reminding myself - the wolf that wins is the one that we feed. Life is constantly changing, nothing ever stays exactly the same, and no moment is like any other. Each of us experience these moments differently too; we each bring our pasts with us to each moment and this always impacts on the present. We cannot completely let go, nor should we. Yes we need to let go of what stops us living as best we can, but we also need to hold on to what is healthy, that which feeds and nurtures us. We need these lifelines to live happily and healthily. But what is it that we need to develop? What should we hold on to? What do we need to nurture in order to live healthy and happy lives? And what are the lifelines that sustain us, when life seems really tough? Paul of Tarsus, in the 13th Chapter of his first letter to the Corinthians names three truths that can hold us through any of the storms of life. These truths are secured, they are rock solid, they are eternal and they are of course universal. We can hold on and depend on these three, but only if we nurture and strengthen them. Something we will find difficult if we focus all are energy on what is wrong with us on what we must let go of. Actually we may well find that our troubles begin to disappear as we develop these three. And what are these three? 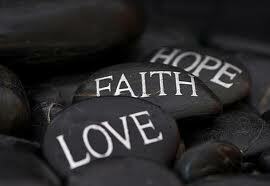 They are faith, hope and love. And what do these three mean? Faith is about trusting in life itself; it is about living as openly and honestly as possible; it is about accepting that there is pain in life, but that there is also so much joy; it is realising that the mere fact that we exist at all is life’s greatest gift. This allows us to sing the joy of living, in all its mystery. It is also about seeing that we are all in this together and that we need to connect as much as possible to the life in which we share. We need to ensure that this lifeline is secure and not worn or frayed at the edges. This is something we need to hold onto and not let go of. Why, you may well ask? Well because it sustains us through the vicissitudes of life. Life does not offer much certainty, but we need not despair at this. Again you may ask why? Well because from despair grows hope. Hope is the second of those eternal, universal truths. Hope is rooted in despair; it grows from the same place. To live in hope is to believe that if we live with conviction and compassion that we can effect positive change in our world, even if we ourselves do not get see to see its full fruition. Hope is about planting those seeds when and where ever we can. This is why I have committed to leading the 12 Steps to a Compassionate Life Reading groups in the congregations I serve. This is an attempt to develop the connection to our compassionate natures and therefore improve our own lives and those around us. I have faith in the hope that Confucius’s concentric circles of compassion can bear fruit in our age and that by developing our compassionate natures we can go out into our communities, our regions, our countries and even our world and be the change we want to see. To live with hope is to live with the attitude that the future is genuinely open. The God of my understanding works with us and guides us but leaves life open, it is not pre-ordained. “The Lure of Divine Love” draws us out of ourselves, but it also allows life to develop freely. I accept that the past does have power, I have a strong sense of history, this is very important. That said I do not believe that the past defines the future, not everything is inevitable. 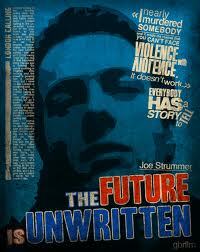 The future is unwritten. Life is definitely a journey worth taking, even during its toughest moments. 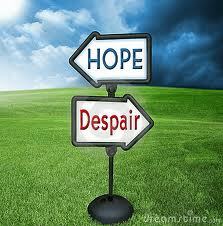 Yes we all despair at times and we all live with uncertainty, but the beacon of hope is always there. This brings to mind a line in from "Proverbs" “Where there is no vision (no hope) the people perish.” Hope is a vital lifeline it both holds and sustains us. It is an eternal and universal principle and one that requires nurture. It is all about love. But what is love? How can it sustain us? By the way I am not talking of romance here; I am talking of spiritual love, self giving love. Spiritual love is that power that connects us to our true selves, one another, the life we share and whatever it is that connects all life. What I myself call God; that power that is greater than all and yet present in each. Love is about caring deeply and passionately about life itself. 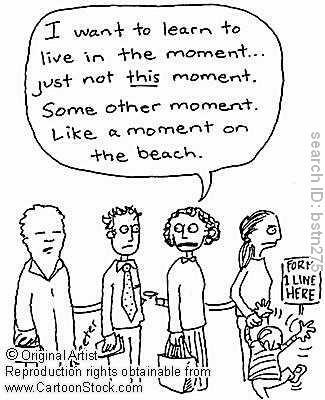 This of course requires attention; it is a life line that requires nurture. Love reminds me that we do not live for ourselves alone or by ourselves alone. “no man is an island” or as Kurt Vonnegut once put it “one human being is no human being”. The universal and eternal truth is that we need the love, the care, the companionship of others in order to fully experience what it is to be alive. By ourselves we are never fully alive. So my New Year’s message this year is not really about letting go, it’s actually about holding and developing those lifelines that sustain and nurture us. Instead of focusing on the problem, let’s focus on the solution. Remember the wolf that wins is the one that we feed. Therefore if we spend our time focusing on the problem we may well end up making it bigger than it actually is; where as if we simply feed and develop our compassionate sides, thereby feeding the solution, the problem will simply wither away and die. Whatever this year brings us, let us resolve to develop lives of faith, hope and love and be the change that we want to see. The future truly is unwritten, no one knows what tomorrow will bring. There must be peace between neighbours.